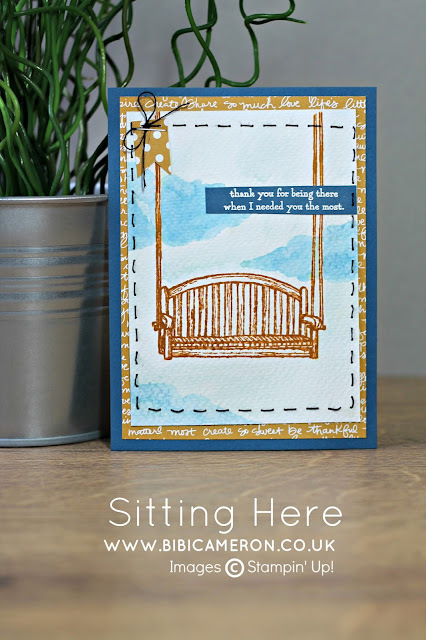 Each image in the set could be a protagonist and today I have chosen the swing chair to make a masculine card. 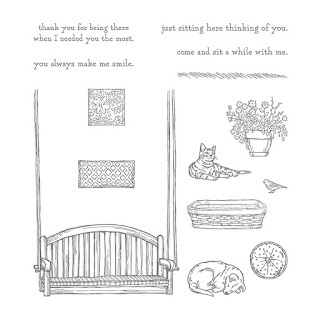 I also have made a feminine version of this card HERE! Paper: Watercolor paper, dapper denim cardstock, a piece of DSP in colour collection 2015-2017 Delightful Dijon. 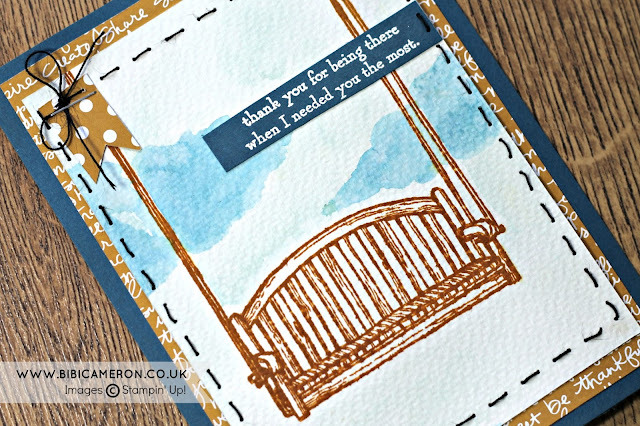 Inks: Delightful Dijon ( porch Swing), Soft Sky and Pacific Blue for the heaven.